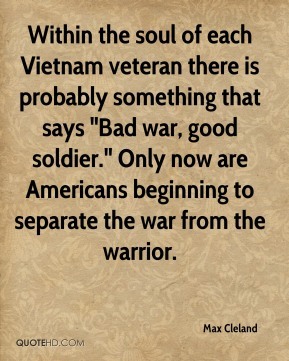 Within the soul of each Vietnam veteran there is probably something that says "Bad war, good soldier." Only now are Americans beginning to separate the war from the warrior. 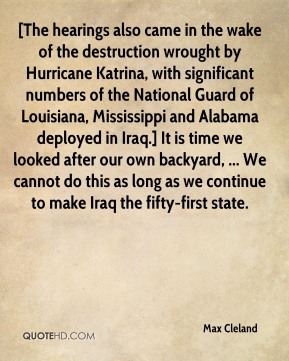 [The hearings also came in the wake of the destruction wrought by Hurricane Katrina, with significant numbers of the National Guard of Louisiana, Mississippi and Alabama deployed in Iraq.] It is time we looked after our own backyard, ... We cannot do this as long as we continue to make Iraq the fifty-first state. 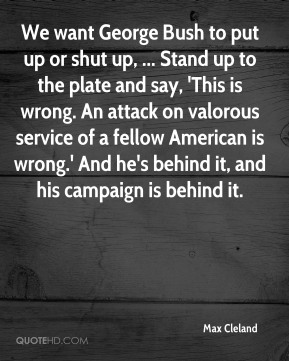 We want George Bush to put up or shut up, ... Stand up to the plate and say, 'This is wrong. 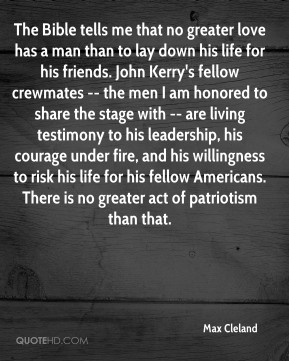 An attack on valorous service of a fellow American is wrong.' And he's behind it, and his campaign is behind it. 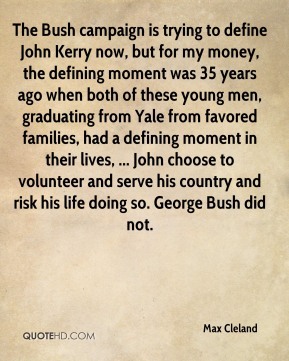 The Bush campaign is trying to define John Kerry now, but for my money, the defining moment was 35 years ago when both of these young men, graduating from Yale from favored families, had a defining moment in their lives, ... John choose to volunteer and serve his country and risk his life doing so. George Bush did not. I'm one of the three Vietnam veterans that George Bush went after. 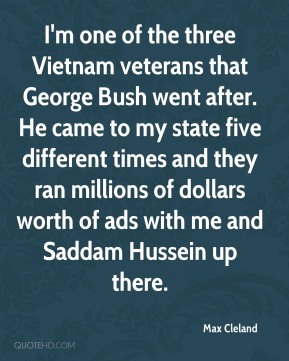 He came to my state five different times and they ran millions of dollars worth of ads with me and Saddam Hussein up there. This looks like a real war zone to me. 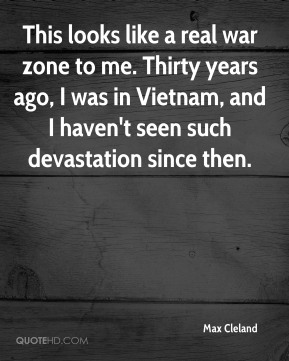 Thirty years ago, I was in Vietnam, and I haven't seen such devastation since then. This thing went south fast. 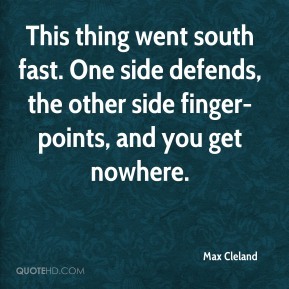 One side defends, the other side finger-points, and you get nowhere. I get beat up flying, ... One wonders how he did the traveling given his infirmity. He just kept on going, right to the day of his death. 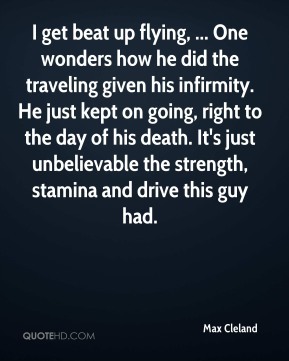 It's just unbelievable the strength, stamina and drive this guy had. 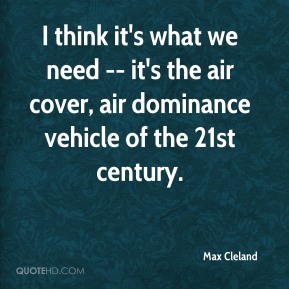 I think it's what we need -- it's the air cover, air dominance vehicle of the 21st century. Deployments have increased some 300 percent, and the military has been decreased by a third: Hello, good morning -- you can't keep that up forever, ... 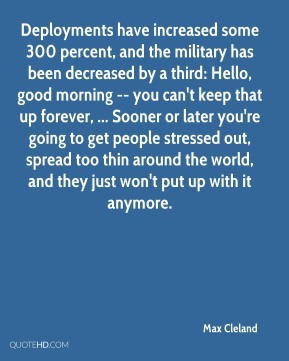 Sooner or later you're going to get people stressed out, spread too thin around the world, and they just won't put up with it anymore. He was a true, honest-to-goodness statesmen and a real, real dear friend of mine. I mourn his loss. 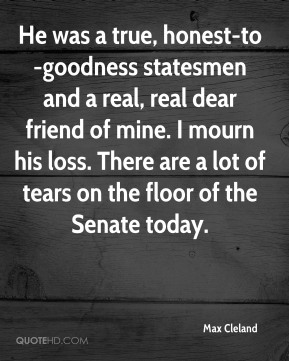 There are a lot of tears on the floor of the Senate today. 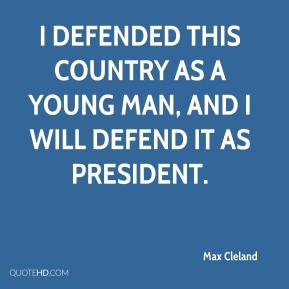 I defended this country as a young man, and I will defend it as president. 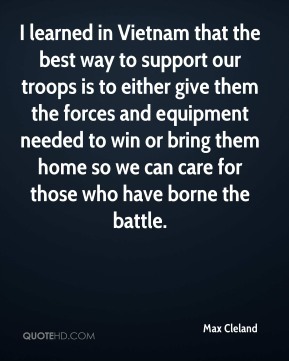 I learned in Vietnam that the best way to support our troops is to either give them the forces and equipment needed to win or bring them home so we can care for those who have borne the battle. 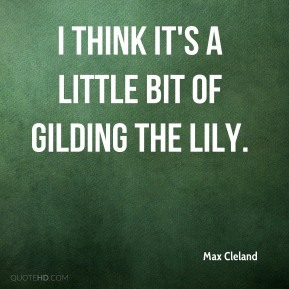 I think it's a little bit of gilding the lily.